The World Bank just praised the distributed ledgers and called Ripple’s xRapid a potentially transformational technology for cross-border payments. He says that these require intermediaries that result in higher costs and slow transfer times. Such downsides reportedly call the need for innovative technologies and Ripple has what it takes. “These shortcomings make the cross-border payment industry ripe for disruption and innovation. Some see distributed ledger technologies (DLT) as having the potential to drive industry-wide change. Indeed, B2B cross-border payments, traditionally characterized by fragmentation and opacity, are a potential use case for the successful implementation of DLT,” he said. The DLT solutions could by-pass the issues by enabling remittance service providers to operate without needing a correspondent banking relationship. The report brings up Ripple’s xRapid and says it’s a real-world solution that is currently actively tested. The report mentions saving costs and speedy transactions which take seconds. The post also mentions other entities efforts to improve their transfer costs and speed, saying that the JP Morgan Coin and SWIFT’s DLT PoC are just two examples. The post says that we’ll have to see whether DLT will turn out a really revolutionizing solution in the long run. You should read the complete post of the World Bank to learn more details. 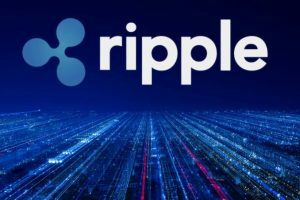 Other than this, Ripple has been in the spotlight quite a lot lately, due to its efforts of driving increased adoption of its products. The XRP Army of fans is also expecting to see a surge in XRP’s price after all the achievements of the project and new listings of the coin.